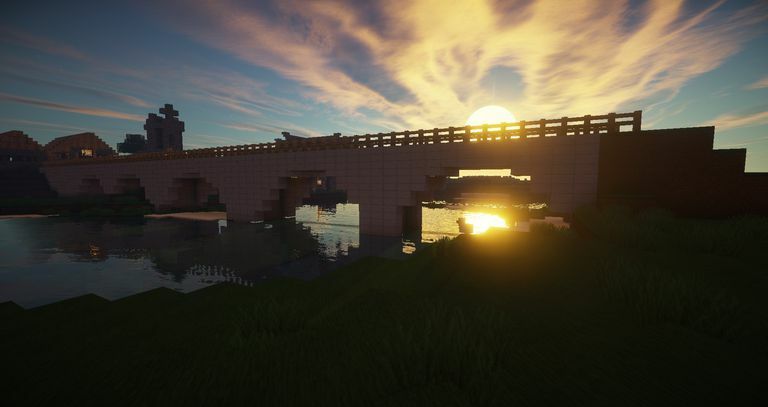 Minecraft is a game that encourages creativity, and mods are big part of that creativity. Some mods change the way that the game looks or add in new items, others change the way it plays, and there are even mods that let you play the game in virtual reality. Installing mods on Minecraft works differently depending on the version of the game you have, but it doesn't have to be a difficult or frustrating experience. Download a Minecraft mod from a trusted source. Place mod into your Minecraft folder. Launch Minecraft like you normally would. With Minecraft Forge, the process really is that easy. Click an add-on that you want. Click Unlock to purchase the add-on. Add-ons aren't free. If you're playing Minecraft on a platform that uses add-ons instead of mods, there is no way to install free mods. What Are Mods for Minecraft? Mod is short for modification, so a Minecraft mod is basically just something that alters anything in Minecraft from its original state to a different state. Mods can add new recipes to craft, add or change creatures in the game, and change the way the game plays in even more drastic ways. Other mods work behind the scenes to make the game run better, look better, or even add new features like virtual reality support. While it's possible to play without any mods, installing mods can breath new life into the game and and make it a lot more fun to play. Before you go looking for a mod to install, it's important to understand that there are two different versions of Minecraft, and each version handles mods in its own way. The newer version is simply called Minecraft. It's available on Windows 10, Xbox One, mobile phones and tablets, and other platforms. This version of the game lets you play with people on different platforms. For instance, you could play on your Xbox while a friend plays on their iPhone. Mods that were designed for the Java version will not work with this newer version. How Do You Choose a Minecraft Mod to Use? Choosing a minecraft mod is a matter of personal preference, since it really depends on what you want to change about Minecraft. If you're totally new to modding, then the best place to start is checking out a list of the best available Minecraft mods, or visiting a reputable source for mods. What would you like to add or change about Minecraft? Are you interested in purely cosmetic changes, or do you want major gameplay changes? Do you just want new recipes to craft, or do you want to experience a brand new adventure or world? Since the pool of mods to choose from is so massive, there's a good chance that if you think of something you'd like to do with Minecraft, you'll be able to find a mod that can help. Another great way to choose a Minecraft mod is to check out YouTube videos. There are a ton of popular Minecraft YouTubers that test out different mods, so this is an easy way to see what looks like fun. The only thing you need to remember when choosing a Minecraft mod is that when Minecraft is updated, it can break older mods. So make sure to choose a mod that is compatible with the version of Minecraft that you have installed. The safest way to download Minecraft mods is to visit a location where creators upload their own mods. Screenshot. Downloading Minecraft mods is extremely easy, and there are a number of relatively safe sources to find mods. Some modders have webpages where you can download a mod directly from the source, but it can be tough to tell whether or not a personal site like that is safe. The safest way to download Minecraft mods is to go to a source like The Minecraft Forum where mod creators upload their mods. The flip side of that is that you should avoid locations where people have uploaded mods that they didn't create, since there's no way to tell if the files have been altered. Downloading a Minecraft mod is as simple as locating a mod you want on one of these sources and downloading the mod file. The mod will then be saved to your computer, and you'll be able to install it. Forge is an easy and very common method used to install Minecraft mods. Screenshots. There are a lot of different ways to install Minecraft mods, but the most popular one is a program called Forge. This method requires you to download Forge, and it isn't compatible with all mods, but it is extremely easy. Navigate to the official Forge website. Click on Windows installer if you have Windows or Installer if you have a Mac. If you don't have any specific mods in mind, download the recommended version. Some older mods will only work with older versions of Forge, in which case you need to click show all versions and then locate the compatible version. The next screen will show an advertisement. Wait for the ad timer to run down, and click Skip in the upper right corner. Do not click anything else on the page. Wait for Forge to download, open the file that you downloaded, and click Install Client. Launch Minecraft, and check the profiles drop-down menu. Click the profile called Forge, and then click Play. Wait for the game to fully load, and then exit Minecraft. Mods are usually harmless, and you can typically just delete them if they don't work the way you expected or you just don't want them anymore. However, there's always a chance that something could go wrong. With that in mind, it's a good idea to make a copy of your Minecraft .jar file, or the entire folder, before proceeding. Locate the folder on your computer that contains Minecraft. On Windows: Choose Run from the start menu, paste %appdata%\.minecraft\ into the blank field, and click Run. On Mac: Open finder, hold down your Alt key, then click Go > Library on the top menu bar. Then open Application Support and look for Minecraft there. Copy the .jar or .zip mod file from the first step into the mods subfolder inside the Minecraft folder that you located in the second step. Launch Minecraft, make sure the Forge profile is active, and click Play. Click the mods button to verify that the mod was properly installed. If a mod won't install, make sure that it is compatible with your versions of Forge and Minecraft. There are also cases where one mod can prevent another mod from working. Mods for the non-Java version of Minecraft are called add-ons, and they aren't free. You buy them from the Minecraft store, which you can access from inside the game. There aren't as many add-ons available as there are mods for the original Java version of Minecraft, but you can find skin packs, texture packs, worlds, and what microsoft calls "mashups" in the store. Skins: change the appearance of your character. Textures: change the appearance of the world by making blocks and creatures look different. Worlds: add custom worlds to play in and can also change gameplay like a real mod. Mashups: include a mixture of skins, textures, and worlds in a themed package. Since the add-on ecosystem is closed, the process of getting add-ons is a lot simpler, and safer, than getting mods for the Java version. It isn't free, but it is all done from right inside Minecraft itself. Locate a skin pack, texture pack, world, or mashup that you want. Click the + in the upper right corner of the screen to purchase Minecoins if you don't have enough. You will also receive the prompt to purchase Minecoins after clicking Unlock if you don't have enough. The add-on will install automatically. The mod itself might contain malware, spyware, or a virus. The site you download a mod from might be infected or could be a malicious site that intentionally infects your computer. The mod could contain inappropriate content or not work as advertised. The mod could potentially mess up your Minecraft game through some unforseen interaction between the game files. Most of these potential problems can be avoided by only downloading Minecraft mods from reputable sources. If a mod is well known, and the creator of the mod has an official site, then that's always the safest place to download from. Avoid downloading mods that were posted by brand new forum accounts. Avoid downloading mods that have no comments. Look for mods that have been around for a while and that have a variety of positive comments and no comments that indicate the presence of a virus, malware, or inappropriate content. If you find a Minecraft mod site that you aren't sure about, check this list of unsafe and illegal mod sites on Github. The list isn't exhaustive, but if a site does show up on it, you're better off looking for the mod you want somewhere else. Another good idea is to look for videos on YouTube before you download a mod. This allows you to see what the mod looks like in action, check that there isn't any inappropriate content, and also verify that the mod is actually real.